Minta's Creations: Embracing Beauty giveaway! Check out this blog for an awesome giveaway because she is giving away an iPad 2 now who wouldn't want one of those super pads...again it's http://embracingbeauty.com/2011/08/22/apple-ipad2-giveaway/ also her blog is just really great she does coupons, giveaways and money saving tips and so much more...go check her out you will want to keep her as one of your favorites I know I did. Thanks for stopping by and following and letting me know about such an awesome contest! I'm now following back. ok i'll check it out! Just wanted to say thanks for the comment (the car is running fine now!) and the follow! returning the favor and hope too see you much more! I'm stopping by from the not so moody monday hop. Hope you'll visit my site too! hope all is well! hope you can check out my blog for some+vibes and inspiration! i am also hosting a great giveaway! blessings! Wow, I would definitely check it out! That is an INCREDIBLE giveaway - WOW! Very generous and thoughtful. 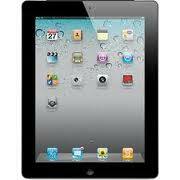 Who wouldn't love getting an iPad2?! ?